During your recent address to the nation, you acknowledged that “it is the responsibility of the government to defend the national interest, and protect the long term future of the people.” I appreciate this acknowledgement. I am also pleased to learn that the government plans to consolidate on the recently introduced FDI reforms. Congratulations! But sir, apart from the economic crisis, the bigger problem that is infesting the citizens of this great country is “behavioral management”. Everyday I wake up to read a sad story on the Parliament – “Minister throws mike at the speaker”, “Lok Sabha adjourned after ministers tear down the bill”, “Lok Sabha suspended over mutual disagreement”, “Minister found guilty in religious riots”. It fills me with great sorrow to see the leaders of this nation – the successors of Mahatma Gandhi and Pt. Jawaharlal Nehru – the caretakers of world’s largest democracy, living in self-centered domain, imbibing greed and following unethical principles (convictions in CWG and 2G scams); not all of them, but yes most of them! I’m not judging the political class here, but trying to bring forth the mentality of our people by instancing the higher citizens of the country. If the lawful representatives of the constitution are going to behave in this manner, how do we expect the country to grow, and so is what we are witnessing – honor killings, molestation, rapes, kidnappings, robberies and murders. We must educate the minister, not intellectually, but morally. Moral values are a must if we want to overcome corruption. Therefore, I suggest that we bring in a constitutional amendment that restricts any citizen from standing in elections if he is not adequately educated (at-least a high school graduate). Other than that, moral and ethical education sessions should be introduced for government employees. Governing in silence for the past six years, the Prime Minister Office-India suddenly voiced itself (ironical to term “Prime Minister”, which has, over a period time become synonymous to the phrase “dead silence”) on the popular 140 word social networking website – twitter, only to realize that it’s impact has been way too large, larger than the popularity of the Office itself – thanks to some “#cattle class” networkers running parody accounts of the PM Office. 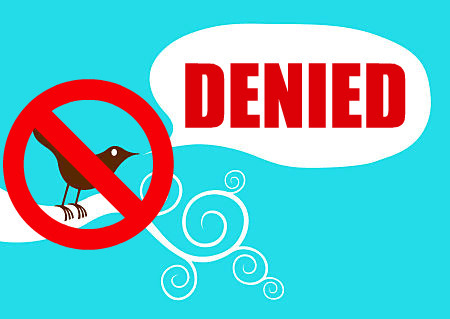 The Government, fearing misinterpretation of such accounts or more reasonably, unable to digest the harsh criticism, had filed an application with twitter in June this year. Perhaps, justified in its approach, given that the esteemed citizens of this country had failed to interpret the real faces of their parliamentary representatives during the general elections. Refusing to give in to the illogical demand of the Government of India, the social networking site didn’t respond back, teasing the Supreme to resort to its countless power. And so it did. Hiding behind the exodus of the North-Eastern citizens, the government shut down the six ‘misleading’ accounts by ordering the Internet Service Providers (ISP) to block their profiles URLs. Although, we all agree to the fact that there are certain websites and some content over the internet that promotes communal disharmony and needs to be dealt with stiffly, but everything else that criticizes the government can’t be made a goat. This is no China, for god sake. Damning the government for its arrogant attitude, the rest of the netizens are seen taking on the corrupt class (political power-heads) by offensively tweeting against them. The hashtags #goiblocks, #emergency2012 and #indiablocks have been trending over the internet. Meanwhile, justifying their high-headedness, a PMO official was quoted as saying, “We are fine with parody, even though at times it is in bad taste, and there is criticism of the government. But we can not allow anyone to misrepresent the PM’s office and tweet nonsense from these accounts”. Well, Sir, all I fear is of the day when the name of every other netizen starts appearing to you as that of PM Manmohan Singh. If only you could bring down the internet on that day. The public sentiment is pretty evident – people feel disgusted by the brazenness of the government. The officials must try and understand that for running the country, they need to feed the so called cattle class; which these days does not eat the long political speeches, but an uncensored internet. P.S. – This latest cyber restriction by the government in the wake of social media uprising, has only jeopardized its already deteriorated public image #RIPCensorship.